Pastor Noah recently planted his church in the town and has been coordinating the community work, forming classes for sewing, farming and basket making. These goods can be sold in the town and offer extra revenue and skills for people who might otherwise be unemployed or have only minimal income. One young lady named Kahindo had been going to a Catholic church but heard about the sewing program and then began attending Pastor Noah’s church. She was unmarried with two children to care for at home, and while her family helped when they could, they were also struggling to make ends meet. During her time in the sewing program, Kahindo became pregnant. When she went into labor, however, a complication forced her family to rush her to the hospital for surgery. 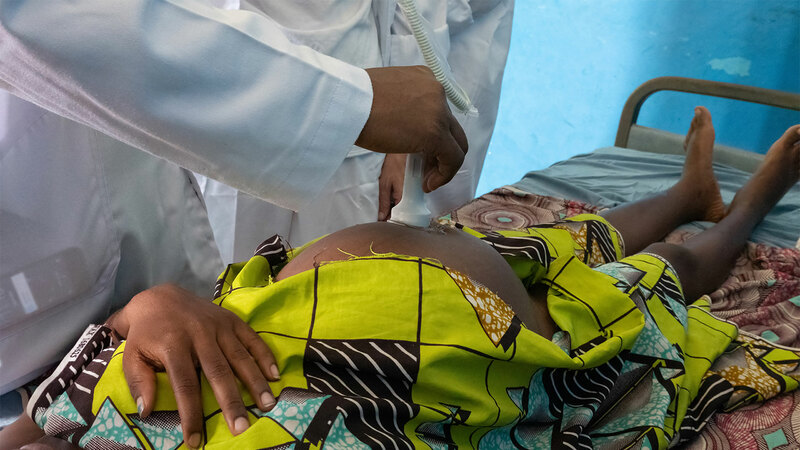 Now, many of the hospitals in DRC are nowhere safe for a woman and newborn child. Poor sanitary conditions and occasional Ebola outbreak-cases made the hospital a potentially dangerous place for Kahindo as she gave birth. Both she and the new baby survived, but the hospital bills were bigger than she or her family could cover. This presented a serious issue. In the Congo, if a patient is unable to pay their bill, they are forcibly held at the hospital. Essentially, Kahindo was a prisoner in her hospital ward. Frantically, the family managed to pay $70 of the bill, but another $30 remained and the staff would not release Kahindo until the amount was paid in full. Pastor Noah and the church heard about her situation and sent a group of people to the hospital to inquire about her situation. They returned and reported what the hospital’s financial department had told them, then they announced the issue to the whole church. All the church members agreed to help their sister in Christ and pooled together their money. The $30 was raised. Then Sunday, after the service, they trooped down to the hospital. When Kahindo suddenly received authorization to go home, she thought she was dreaming. The church members praised and worshiped God, and Kahindo decided that she was finally ready to officially join the church and be baptized as a sign of her changed relationship with God.